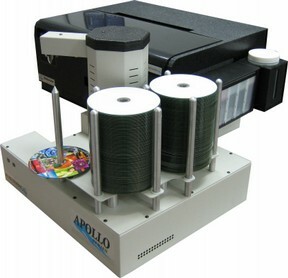 All Pro Solutions presents the Endurajet 220 Disc printer. Under the skin the Endurajet is a Epson L800, complete with it's factory installed Ink Tank System. The EnduraJet connects to an existing PC and includes Networking Software. The 220 disc print station combines the robust and powerful AllPro Robotics and the Epson L800 print engine with up-to-date Windows clients. Server components control the systems. An intuitive graphical user interface of the client application makes the creation of basic or advanced disc labels and print jobs a straightforward process. Additionally, the status of media production and devices can be monitored network-wide. 220 Disc Input / Output Capacity. 3 Years Warranty on Robotics. Separate ink tanks (6) enables more efficient ink usage. Approx. 2500 full-coverage disc prints without ink reload. Fast printing for high quality prints. Six colors (five colors + black) for superior half-tones and color matching. 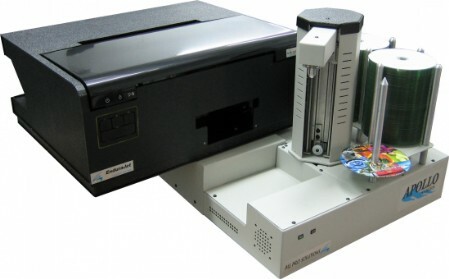 Enterprise class solution for high-volume printing, long life, and heavy duty use. 5760 x 1400 maximum dpi resolution.